Our association has been around for over 25 years (since 1975) and is the second largest in Texas!. We were recently featured in an article in the Houston Chronicle. 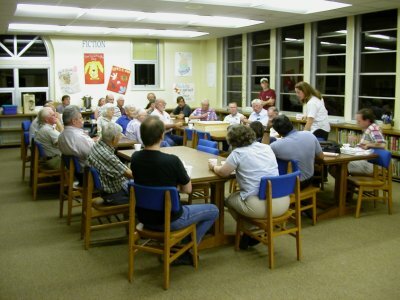 We meet at 7:00 - 9:00 PM on the second Thursday of each month at the Travis Intermediate School library. 1100 N. Thompson St., Conroe, TX 77301. We love to have visitors, so come join us at our next meeting and bring a friend! Note: If you decide you would like to join, dues are only $12 annually per family. Need assistance with a swarm? bee-commerce.com supports our association. Give them a call for beekeeping supplies and equipment.